3D design water silicone swimming cap of Firesara is in the most reasonable price. You can own this comfortable swim cap, swimming goggle, nose clip, ear plugs plus swimming goggle case at one time. And we have three most popular colors optional. We believe our cap and goggle set not only amazes you on price, but on its high quality. Features: 1.SMART DESIGN, FAST SPEED. 3D comfortable aerodynamic design swimming caps for adults and children not only bring your head and ear full protection, but able to reduce water resistance. 2.COMFORTABLE. High stretch ability silicone swim caps leave enough space for head, and seals tightly at the same time. Great anti-fog performance swimming goggles offer you crystal like vision. Double layer goggle belts give a better waterproof protection. With nose clip and ear plug, your swimming experience get enhanced. 3.EASY TO PUT ON AND TAKE OFF. As the best swim cap and fog free goggle ever, it won’t tangle you hair. It’s easy to wear and take off. 4.LIFE TIME GUARANTEE – Firesara values each customer’s purchasing experience and provides life-time warranty of our swim equipment. Contact us if needed and we are always here for you. Tips for using swimming cap and goggle set 1. Wear your cap as tight as possible. Make it covering most of your ear and getting enough close to you eyebrow. 2. Stretch your cool swim cap from inside. Never wear sharp objects if you have long hair, make sure your hair locked well. 3.Never wipe goggle lens by hand. 4.Wash swim cap and goggle suit by fresh water after using can prolong its life period. ✔COMFORTABLE 3D DESIGN – This swimming caps comfortably fit for American women and men head bone character. It gives head full protection with ear pockets. Match with swim goggles, you get all-round hair clean and ear dry protection. It’s really cool. Get your swim hat+swimmer goggles+ear plug+nose clip+hardcase now. 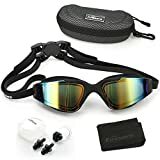 ✔ ANTI FOG UV PROTECTION SWIMMING GOGGLES GLASSES – Say bye to fog up and ticky-tacky sun swim goggle. This goggle cap set uses anti-fog tinted lens, which not only brings you a large and clear vision, but makes you standing out the crowed. 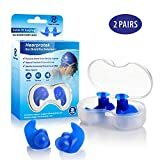 ✔ 100% ADVANCED SAFE SILICONE COMPETITIVE SWIM CAP GOGGLE SET- Amazing high elastic solid silicone material soft swim caps gives perfect wearing experience of you head. Nontoxic and skin-friendly thin swim cap protects your health. 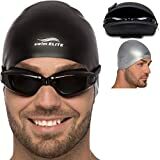 ✔BETTER WATERPROOF ABILITY THAN OTHER BRAND – As the best swimming cap and goggle set, it fits for all age children and adults, both men and women, boys and girls. Especially for those who has long hair, just enjoy swimming with secured locks and tangle-free hair. 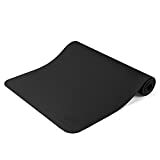 ✔EXTRAMELY DURABLE, SNAG AND TEAR RESISTANT – Top class silicone touches soft, Firesara water swim cap covers your head perfectly without snagging. Stretch this pool swimming cap from inside, and wash with clean water after use, it won’t tear easily and stay bright and colorful.